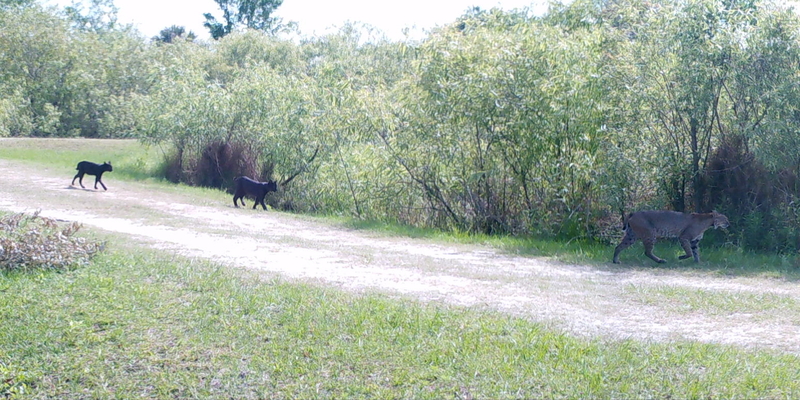 Melanism, like albinism, is a rare genetic trait that few are able to witness…in the photo below we can see the cat’s unique coloring in the sunlight. This remarkable creature is one of thousands of animals killed on Florida’s highways every year. I am posting this photo in hopes that by seeing it, somehow it may will help save the life of another. 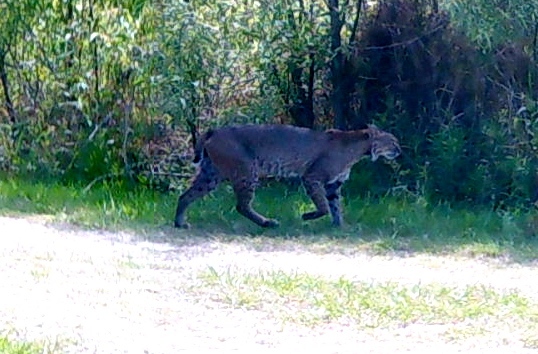 Please drive carefully looking out for bobcats and the rest of God’s creatures! 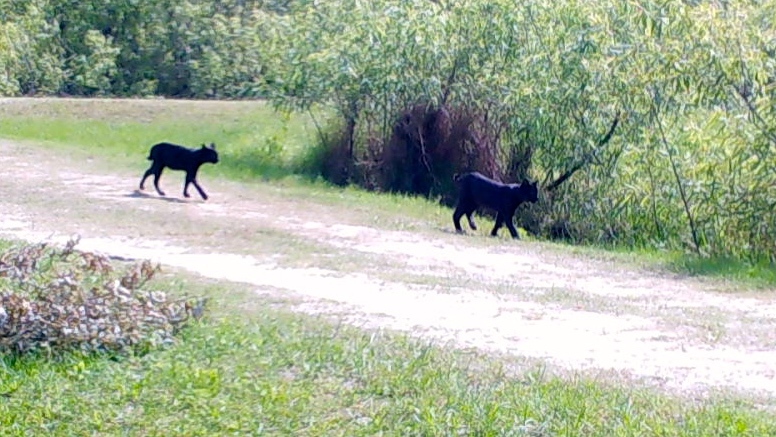 Melanistic bobcat hit by car in Sebring, Fl. Photo shared by FWC’s Angeline Scotten 2/17. *Thank you to Angeline Scotten for sharing this photograph. Zoology. the condition in which an unusually high concentration of melanin occurs in the skin, plumage, or pelage of an animal. 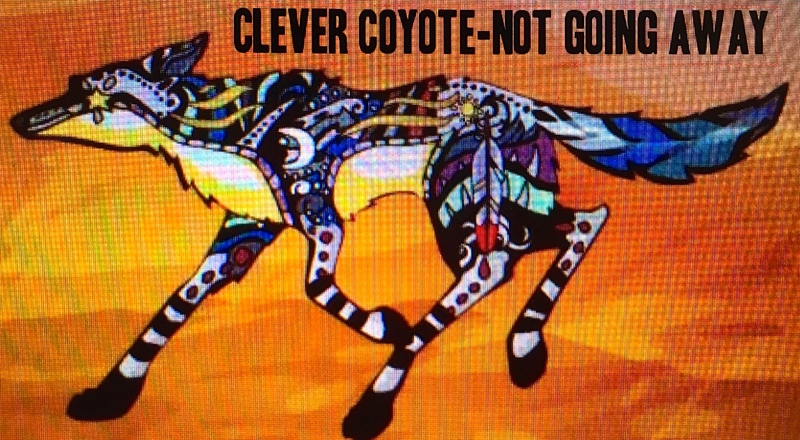 Like it or not, “Coyote” is here, and coyote is not going away. He is clever; he is ancient; and he is a master at adapting to his environment, as are we—humans. We have met our match. Of course because both are “canines,” coyotes can mate with our friends, domesticated dogs. This is documented out west; they are known as “coydogs.” Hmmmmm? 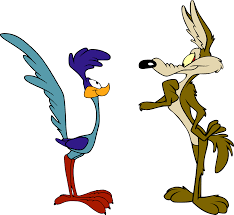 Warner Bros. “Looney Tunes,” “Coyote and Road Runner” was a cartoon my generation grew up with. Unlike in real life, “Coyote” was not always so smart! Don’t get me wrong… the first time I read that coyotes were “here,” in Marin County…the first time I saw Bud Adams’ picture on the back page of “Indian River Magazine,” the hair went up on the back of my neck. Old wives tales and ancient fears gripping me…. Since that time, I have read a lot and learned more. I am cautious but not afraid. In fact my roommate at this month’s University of Florida Natural Resources Leadership Institute class was a coyote expert for the Florida Wildlife Commission. We stayed up late into the night; she showed me photos of all the things coyotes eat and told me first hand stories of how places like Hernando County, Florida, are dealing with the issue. I sat in silent awe…. One of the most interesting things she shared was that the population of coyotes goes up the more populated an area is–you would think the opposite. “Coyotes have moved in and adapted so well we sometimes wonder who the suburbs were actually built for, us or them.” Her excellent article is at the end of this post. Last night at a Sewall’s Point Commission meeting, a resident came forward during public comment to report about the coyotes in her subdivision. Passions flared! The discussion included guns, protected wildlife, unprotected wildlife, trapping, not leaving out cat food, not leaving out cats, as well as not leaving your small dogs or small children outside unattended. In the end, it was decided comprehensive town education was the best approach. I find my self struggling with the image of coyote. Last night after the meeting, I took a walk and kept waiting for one’s red eyes to shine in the reflection of my iPhone. At every corner I was sure one was standing….They do intimidate me, but I am intrigued with their success. I respect them. This animal is deeply associated with Native Americans who of course “we” eradicated. Remember the Seminole Wars? The US relocation plans? Not that long ago really. Perhaps this is our karma? For many Native American tribes the coyote, known as a trickster for his ability to “be everywhere at once,” was the most powerful of creatures. In fact, it was believed that tribal members of tremendous power could “shift” shape into a coyote achieving amazing things….Why the coyote? The reasons are many, but one is because “Coyote,” just as in the Greek story of Prometheus, —-(also a clever trickster)—-brought fire from Heaven to the Earth, betraying the Gods, to help us survive. —Coyotes are now reported in all 67 counties of the state of Florida. They also live throughout much of the nation. –Due to agriculture/rancher and landowner complaints, California spent 20 million dollars to eradicate coyotes with no success and now ironically the population is perhaps higher than ever. 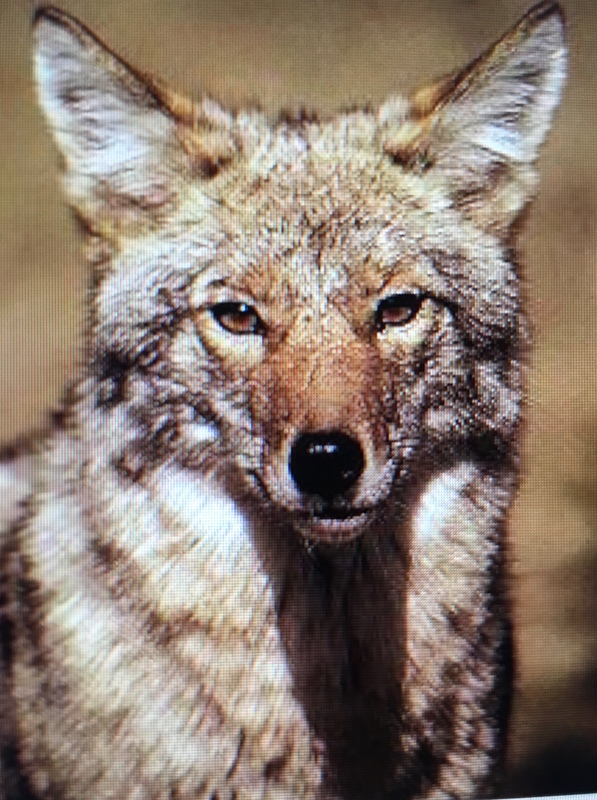 —Coyotes are omnivorous, like people, eating everything especially insects, pet food, vegetation, road-kill, rodents, and “trash.” Thus they adapt easily. —-Coyotes have flourished and spread since the human eradication of the larger canine family wolf —in Florida and through out the U.S. When top predators are removed others expand. —Coyotes hunt in family groups not “packs, or alone; ” They mate for life and their social nature is part of their success. 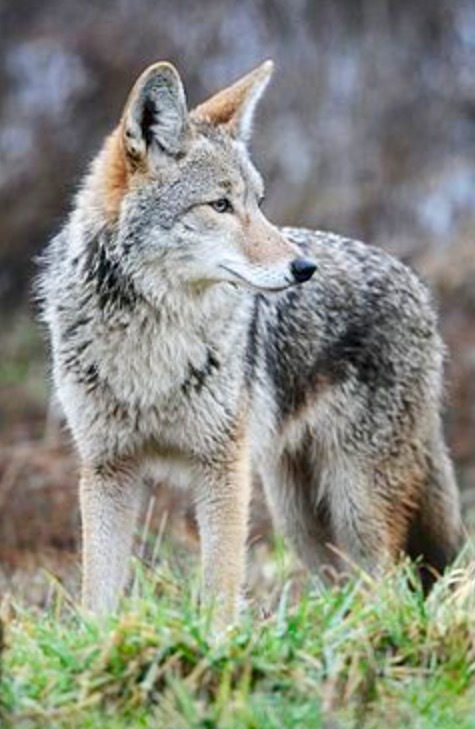 —Read article below for tips on how to live and/or deal with coyotes. Public image of an attractive coyote.